The aim of this volume was to provide insights into how Islam as a non-Christian immigrant religion is integrated into European societies. 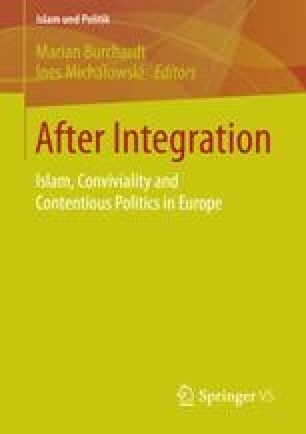 Rather than looking at indicators of individual integration and well-being among Muslims in Europe, we took an institutional perspective on this question by analyzing how European public institutions, legal and political systems, Muslim organizations and representatives, as well as other actors from civil society and the religious field have reacted to the change in Europe’s religious landscape that was driven by immigration from countries with Muslim majorities. As the institutions of the immigration countries have been shaped mainly against the backdrop of Christianity as the majority religion, the implantation of a new faith group raises the question whether and to what extent present institutional arrangements are to be renegotiated.